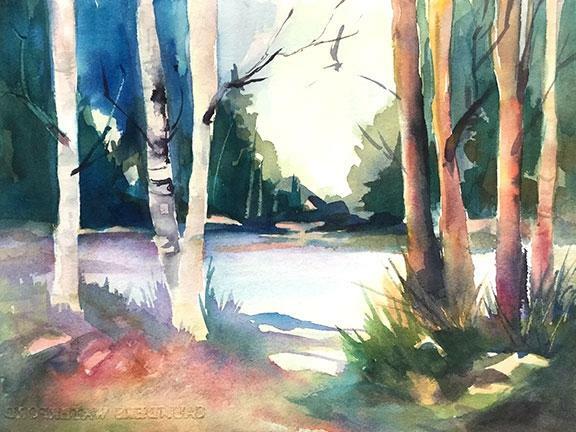 Create a beautiful watercolour scene! Register today to save your spot in this fun, no experience necessary workshop. Artist Fiona Evans will lead the group step-by-step through the process of creating this watercolour scene. All materials included – just bring your enthusiasm! Tea, coffee, and cookies served. $40/person. Registration required. Registration can be completed over the phone or in person at Latcham Art Centre. The cost of the workshop is $40. Pre-registration is required. Registration can be done over the phone or in person at Latcham Art Centre. All materials and instruction included. Tea, coffee, and cookies provided!